Water damage can strike at any time. 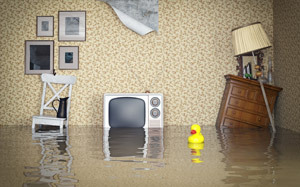 Water heaters leak, pipes burst, outside rain causes flooding, and plumbing mishaps all happen when you least expect them and without warning. At ServiceMaster by Gadonniex, we understand the urgency of these situations. 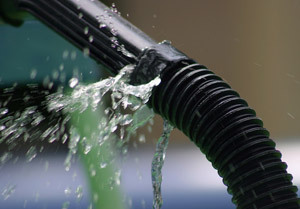 You can depend on our experienced and certified technicians to stop the damage, cleanup and dry excess water, and restore your home or business. We understand that experiencing water damage is difficult. We will walk you through the entire process from beginning to end to put your mind at ease. We are available 24 hours a day, 7 days a week to help you with your emergency needs. To manage the process, a certified technician is assigned to your case and will implement a restoration plan of action. We first assess the damage and then we work with your insurance provider to finish the job. When you call ServiceMaster by Gadonniex, we will follow a series of steps to ensure a custom plan of attack will be made for you. We will identify the source of the problem and determine the level of damage. Then we will evaluate your carpeting, your flooring, walls, ceilings, and structures. After the evaluation we will create the custom plan and follow through to make sure that the job is done effectively and efficiently. For trusted water damage cleanup in Dutchess, Ulster and Putnam counties, call ServiceMaster By Gadonniex today! We are available 24 hours day, 7 days a week.